Verizon Killing All Unlimited Data Plans - Say What? Verizon Killing All Unlimited Data Plans – Say What? 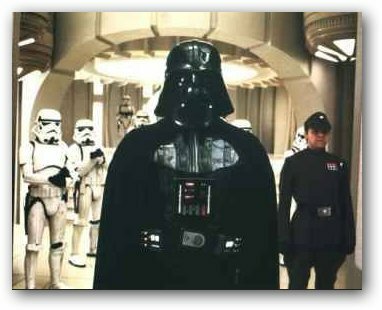 Cue Darth Vader’s Imperial Death March, folks — Verizon is killing grandpa. Ok, not really, but Big Red is taking out all grandfathered unlimited data plans very soon. Cue Darth Vader’s Imperial Death March, folks — Verizon is killing grandpa. Ok, so maybe I’m being a little melodramatic, but Big Red’s announcement today that it will do away with even “grandfathered” unlimited data plans feels a bit like losing a member of the family. Speaking at an investor conference in Boston today, Verizon CFO Fran Shammo said the carrier will launch a “data share” program this summer that all customers who still have an unlimited data package from the days in 2011 and before when they were still offered will be migrated on to. That means that in the coming months, all Verizon customers will be moved to tiered pricing — no more $30 for all you can eat. Verizon’s pitch for the data share plans are that customers can add multiple devices to a single plan. That’s good news for light and medium data households or businesses who use 3G and 4G connections on multiple smartphones, tablets and other devices as it will eliminate the need to buy a data pack for each device. No tiers or pricing information have been released yet, and it’s not clear how this will shake out for Verizon customers — like yours truly — who started on a 3G unlimited plan and have already upgraded to a 4G device. It would seem that either I’ll get a rude notice sometime this summer asking me to pick a data -sharing tier, or perhaps grandpa and I will survive until my next upgrade. Years back, I worked for Microsoft and enjoyed a 20% discount off my Verizon bill. Because of this it was a painful decision to jump over to move my wife and I over to AT&T in order to get the first iPhone. At least for now…. it looks like that might have been a good decision. I just called AT&T and they confirmed I’ll get to keep my Unlimited Data Plan when I upgrade my iPad 1.0 to the new 4G LTE iPad (The NEW iPad) and the same goes for the iPhone 5 when it comes out. All that being said — this Verizon news just goes to show a contract means nothing. My guess is AT&T will soon chop all us old “grandfathered” users like Verizon just did. Looks like the contracts aren’t worth the paper it’s signed on. You really have to wonder why customers are bound to the contracts (early cancellation fees) but the provider is not (changing contract terms in the middle of a contract). It seems fair that anyone that doesn’t like the new contract terms can then cancel without a penalty but then that would be FAIR! Yeah, I never do a contract with phones…never have. How does it work anyway? Do you need to hit the local 7 Eleven once a month to renew the monthly service? I use monthly pre-paid as well. You just give them your cc or paypal and they auto renew every month until you disable it. So far, Virgin Mobile has been great. I just helped a family member sign up for it and he got an account on eBay that allowed him to be grandfathered into the cheaper rates. I just upgraded to a new contract last week. This is the first I have heard that they are changing the terms of existing contracts? Should I return the phone now or since they are changing the terms of my contract later, can I cancel then without a penalty? I wanted to upgrade from my grandfathered unlimited data 3g contract to 4g on Verizon and they would let me do it, only if I paid out the remainder of the 3g contract first! It makes me wonder how much my unlimited data grandfathered contract is worth?